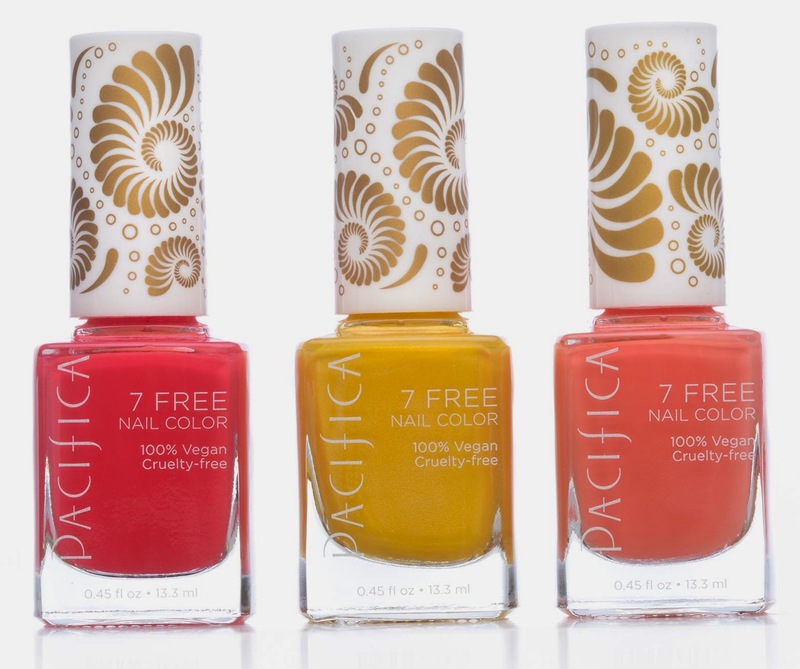 Pacifica is thrilled to celebrate a new category to their effortless natural beauty collection with 7 Free nail polish, just in time for spring. This unique, natural 7 Free formulation does not contain harsh, toxic chemicals such as formaldehyde, phthalates and parabens that are typically found in nail polish. From hot off the runway pastels to classic neutrals, these wearable, long-lasting polishes come in 25 breathtaking shades (plus 2 fast drying topcoat finishes) and are the perfect way to rev up your nails for any occasion. 7 Free is formulated without phthalates (dibutyl phthalate), toluene, xylene, parabens, camphor, formaldehyde, resin and animals byproducts. Pacifica Color and Skincare is 100% vegan and are free of animal ingredients and testing. Products are formulated without parabens, petroleum, SLS, sulfates, phthalates, talc, carmine and FD&C colors. The brand’s focus remains on using recyclable packaging and sustainably harvested ingredients. Pacifica cosmetics and skincare are developed according to Whole Foods guidelines, which are among the strictest in the industry. Pacifica was co-founded by Brook Harvey-Taylor in 1996 with a grassroots vision for the brand that encompasses sublime fragrances in earth-conscious formulas and quality products. Brook’s expertise as an aromatherapist, natural perfumer and artist, along with her sensitivity to the natural world has resonated with countless fans. “As a longtime surfer, someone who lives at the beach, and a mother of three, I want eco-friendly products that can really multi-task,” says Harvey-Taylor. While perfuming was her initial passion, her work with natural oils lead to a deeper understanding about natural ingredients and the effects on skin. Pacifica’s move into natural mineral color has been fueled by Brook’s desire to use natural ingredients in products she felt were missing from the marketplace. Today, Brook is respected in the industry for creating one of the most influential fragrance brands as well as her attention to detail in each of the products she creates. Infused with lush botanicals, supported by clinical actives, and instilled with love – Pacifica’s latest foray symbolizes a true revolution in natural beauty.